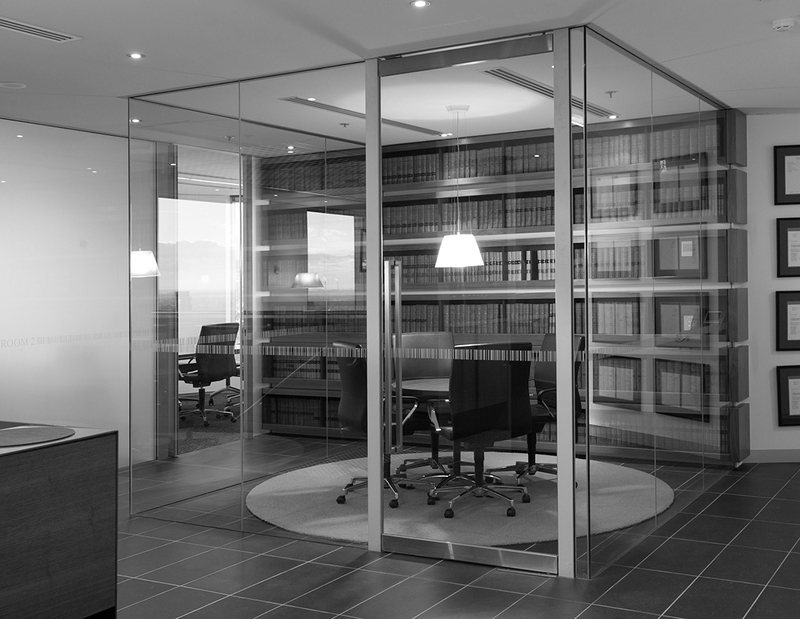 The fitout design incorporated the reuse of a portion of the previous Ernst and Young ‘infrastructure’ on Levels 20 & 21. 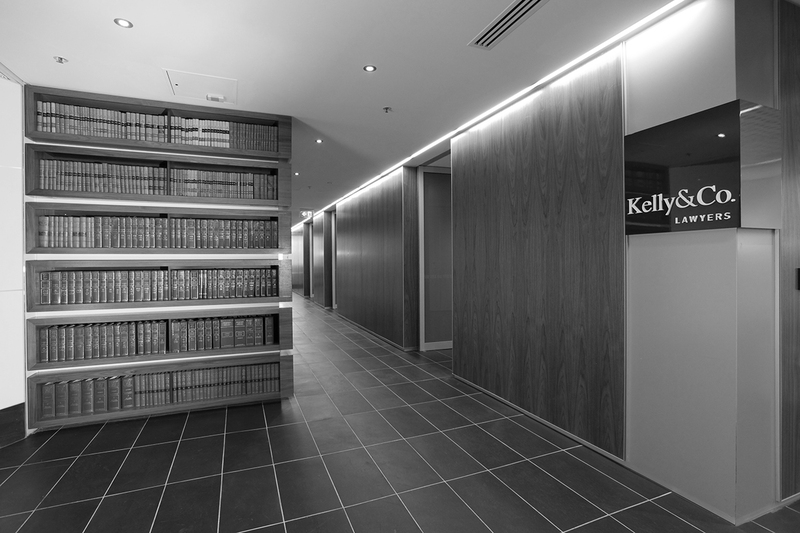 The client brief focused on preserving the positive ambience and culture from their existing fitout while providing a contemporary, fresh re-interpretation of Kelly & Co Lawyers’ values and client base. 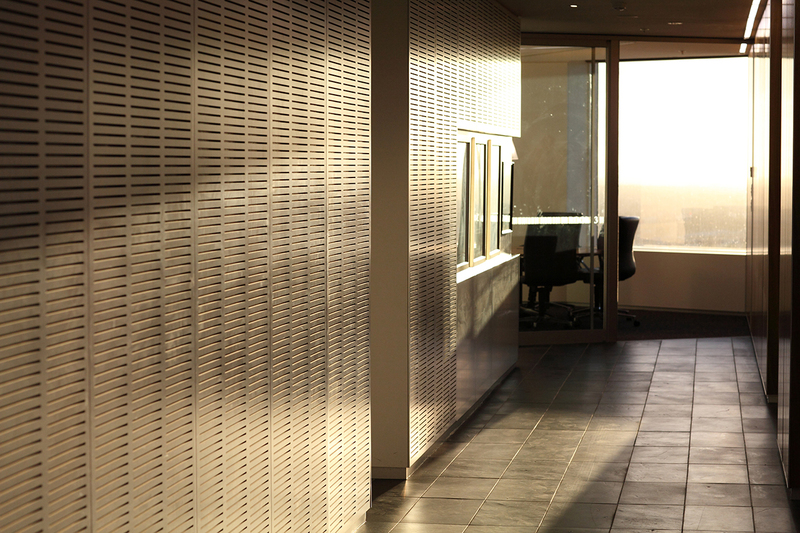 An inter-connecting stair was introduced to encourage communication and interaction between staff on the two levels. 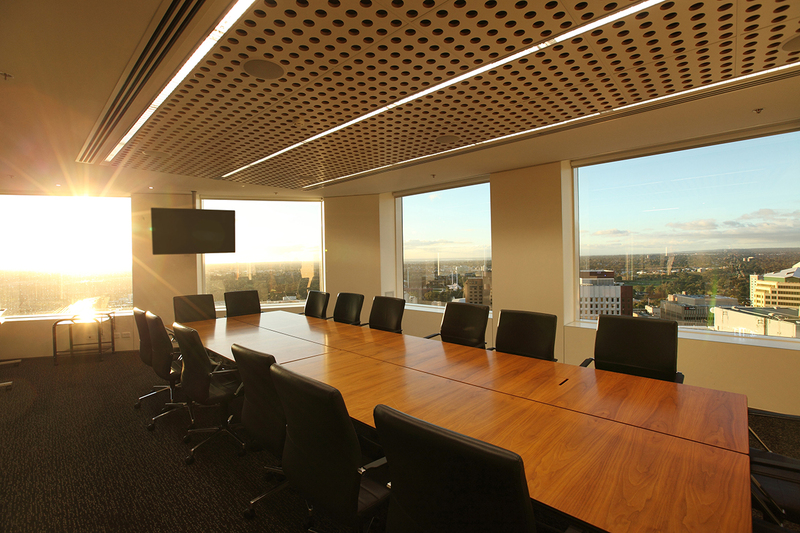 Client facilities were designed with a high degree of flexibility to enable a multitude of meeting and entertainment settings without compromising the aesthetic.